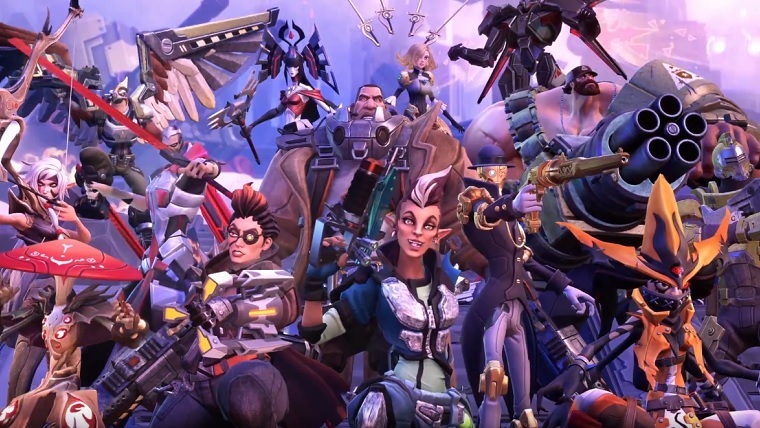 It’s now been about three months since the MOBA/FPS hybrid Battleborn was released and then promptly kicked out of bed by the the insanely-hyped Overwatch. I owned both games. I played both games extensively. I enjoyed both games immensely. I wrote multiple articles about both games. Then I moved on for a while and played other games. But competitive FPS multiplayer never really dies, does it? It’s an itch that occasionally needs to be scratched. It’s why Halo and Call of Duty continue to be massively successful franchises even as the single player campaigns continually degrade. It’s why Destiny is still a thing. Many of us need games like these in our lives to give us something to fight against and get better at; something that isn’t predictable like AI opponents are. Gamers like me crave the chaos that can only come from other gamers and so I feel like I always need a designated PvP shooter on my shelf. 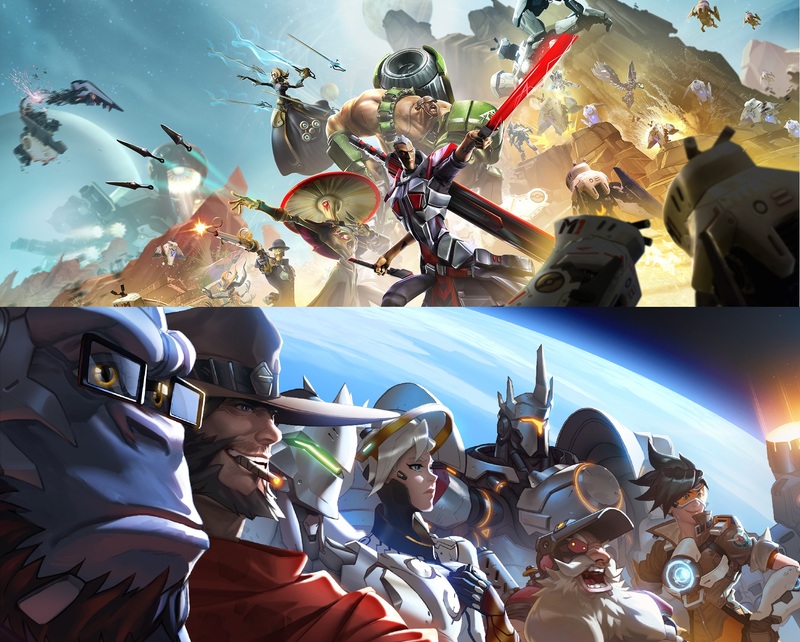 I’ve already detailed my thoughts on things Overwatch did better than the competition as well as being released as half a game because Blizzard crafted it as an afterthought to a failed project in order to recoup expenses, whereas Battleborn was at worst a full game that was a bit light on content. When Gamestop offered me thirty dollars to sell back a sixty dollar game I felt was highly overpriced, I was actually excited at the thought of recouping my own investment in Overwatch having done everything worth doing many times over. But Battleborn? I felt like I had so much more left to to do in that game. I couldn’t part with it. Overwatch thrives on a lightning fast pace; get in, git ‘r dun, next match. 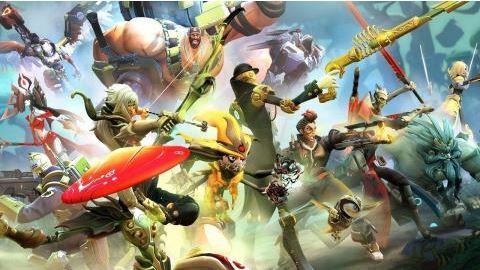 Battleborn’s multiplayer has a strategic depth to its objectives that goes so far beyond that, it can’t even be seen from where Overwatch is. The pace is slower (matches routinely last for half an hour) but the pay-off is there, and more time in each match means less time in menus. To their credit, Overwatch gives new heroes for free, but that’s where the good ends. All other unlocks are tied purely to chance, which with my luck means I got almost nothing but tags, weak vocal lines to repeat ad nauseum, player icons (dozens to unlock, but can only use one), and skins for characters I seldom used. In-game currency that can be used to get things you actually want is also part of this lottery, but I seldom received any. But if I was willing to pay a dollar a pop (at a two dollar minimum) for the possibility of maybe getting something I might like -but probably just more worthless crap I don’t want- well, that’s a thing. Yay? In Battleborn, unlockables are partly tied to leveling up each character and partly tied to the lottery, which you can enter using in-game currency which, as mentioned before, is not hard to obtain while you play the game. 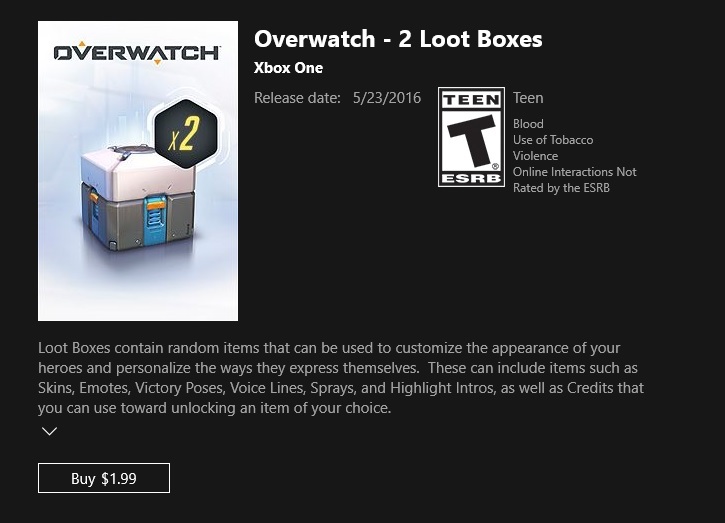 They introduced real money microtransaction credits for skins and taunts, but guess what? YOU CAN DIRECTLY PAY FOR THE THING YOU WANT! Again, I don’t spend money on such things, but it’s genuinely pleasing to know that if I want Thorn’s middle finger taunt to blast onto somebody’s screen every time I get a kill with her, I can just pay the two bucks and get it and not spend an open-ended amount of time and money feverishly praying that the next loot pack bestows it upon me. Wilt Chamberlain once proclaimed that “nobody roots for Goliath”, but in this case, that’s proven to be false. It’d be a tragedy to see a game like this fade away while mainstream gamers are arguing about which Overwatch girls are the hottest. It just makes me want to play it more. If you haven’t tried it and you prefer thoughtful strategy to a lightning fast pace and personality to eye candy, do yourself a favor and give it a go sometime. If you want to wait until the price goes down, there’s nothing wrong with that either. There’s plenty of room for two hero shooters on the market and supporting both is the best way to ensure more games like them get made and supported in the future. 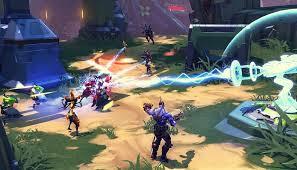 Battleborn feels like a passion project built to be exactly what it is: a multiplayer-based companion to the rightfully beloved Borderlands series. Overwatch feels thrown together to make money as quickly as possible with as little investment as possible; a teaser of what could well become the dominant shooter franchise in years to come, but still just a teaser. There’s nothing wrong with loving Overwatch as it is, as it’s a really damn fun game, but let’s not get carried away and forget that there are other games out there either that give more bang for buck. Personally, the current iteration with its massive hitboxes and condescending feature of counting every assist as a kill to make the player feel better about their K/D lost its flavor in weeks. But I feel like I will never run out of things to achieve and earn in Battleborn and the fact that a game with so much to offer has been discounted makes it an easy choice for me. And that’s probably the biggest reason I sold Blizzard’s billion dollar afterthought and kept Gearbox Software’s spunky alternative. Gamers know what it means to be swept under the rug and treated as not good enough by the mainstream. That’s reason enough to flip off the critics and support the little guy. Historically, more than any other genre, role playing gamers have been about the characters. The likes of Mario, Sonic, and Link may be the big celebrities of gaming, but the truth is we as gamers connect a lot more with RPG characters because the stories are often much more in depth. We’re not just running, jumping, hacking, and slashing towards whatever arbitrary goal the game says; we build them and watch them grow in ability and in depth. We make choices for them. We experience their lives. And that’s why when one of them is taken from us as part of an irreversible story twist, it sticks with us in ways that simply don’t translate to other genres. It not only leaves a hole in our hearts, it leaves a hole in our party; a role we can no longer play. Role playing games are some of the only games that really make you feel the death of a fictional virtual avatar like the loss of a friend, and as a result they are more dramatic, tragic, and fulfilling than in a shooter where maybe the bro who was machine gunning monsters next to you goes out in an explosive blaze of glory (and cliche). These make for some of the most outstanding moments in gaming history, and while most of them get overlooked by the public at large (RPGs being more of a niche genre), we remember them. How could we possibly forget? Needless to say that the following sections contain spoilers so proceed with caution. These are six characters that were taken from from us in surprising ways at unexpected moments and made us feel the loss, often in more ways than one. 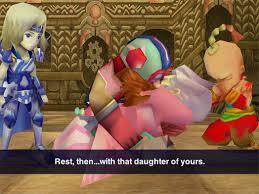 Final Fantasy IV is and shall ever be the best Final Fantasy. Make no substitutions unless you want to forever label yourself a scrub. It was the first first epic RPG to truly earn the title of “epic” and put gaming on the same storytelling footing as other forms of media. And for a lot of gamers, it was the first video game to meaningfully cross the line and permanently kill a playable character. Sage Tellah was not the first nor last to sacrifice themselves over the course of this amazing story, but he was the only one who didn’t come back. Tellah’s story arc is a meaningful one not only because of the fact that it ends conclusively, but in the way FFIV melds subtle gameplay challenges that enhance the story. When you get Tellah, he is a moderately powerful magician who has forgotten most of his spells, but his combination of black and white magic is intrinsic to your party’s early success in this tough RPG. After losing his daughter, his quest for vengeance against your common enemy leads to him remembering his lost spells, which is an intimidating array, to say the least. At this point the character gets really interesting because although he knows about every single spell there is, his MP is very limited; not even enough to cast Meteor. Tellah is a frail old man who’s reached his limit and your younger mages, Palom and Porom, were surpassing him before your eyes as they grew. But when he finally comes face to face with the object of his vengeance, he converts his very life force into additional MP to cast Meteor and takes the big bad out, saving the party from the same fate as his daughter at the cost of his own life. Not only is this the first important character death in a video game I that I ever experienced, but it’s still one of the best. Tellah’s passing away marks a major turning point in the game and FFIV is still the only instance I can think of where the concept of aging is worked into gameplay. What seemed so strong in the beginning doesn’t stand the test of time as new and more powerful abilities and enemies emerge and by the end, the powerful sage is barely an asset to the party. Using his last breath to save his compatriots was a powerful gesture made even more so by the context. Valkyria Chronicles was the most underrated RPG of its era and has thankfully been remastered and ported to the current gen to be rediscovered. The story was so good it even received its own anime adaptation, and the defining moment of both is the sudden death of a beloved compatriot that altered the entire tone and scope of the story. While the game is largely about war and regular people banding together to fight for their homes against those who would dehumanize them for their own gain, there is a less-than-subtle parable about racism woven into it. Isara Gunther is Welkin Gunther’s adopted sister and part of an oppressed race known as Darcsen who have become a cultural scapegoat. She is your militia’s tank driver and mechanic and an essential part of the war effort, but is still treated with suspicion by some of your fellow soldiers. The subsequent funeral where Rosie fulfills her promise to the deceased is one of the most beautiful and touching scenes in RPG history as well as being the most memorable moment in one of the best console SRPGs of all time. The connective theme of the Persona series has always been about subverting expectations and appearances. The titular entities and corresponding Shadow Selves represent the hidden negative emotions of the people whose minds they inhabit. So naturally, the characters of the series have internal struggles and hidden depths that do not always go hand-in-hand with the front that they choose to show the world. Enter Persona 3 and Shinjiro Aragaki. Shinjiro is the very picture of the Japanese delinquent; stoic, indifferent, cold, large in stature, and rough in demeanor. He joins your team reluctantly as a returning senpai, but remains extremely disconnected. But secretly, he is concealing a profound depth of sadness and -when nobody is looking- can be genuinely gentle and kind. Eventually it comes out that Shinji’s Persona was responsible for the death of young team member Ken’s mother and Ken plans to kill him for vengeance. When Ken finally corners his teammate alone, Shinjiro appears to accepts his fate and merely cautions that taking a life will only make Ken like himself: cold and withdrawn. At that time the primary antagonist, Takaya, shows up to mock the two’s predicament. Shinji has been taking pills to suppress his Persona to avoid losing control again ever since the accident with Ken’s mother and they are killing him so he has little time left anyways. Takaya is there to kill Ken once he finishes Shinji off and get two dead enemies for the price of one, but Shinji rushes him and takes the bullet in his junior’s stead. It’s a selfless and sentimental act from a man who portrayed himself to be selfish and unfeeling, and that makes his death a perfect metaphor for the Persona series as a whole. Shinjiro’s atonement is a tragedy with a layer of triumph. Even when he felt he had no reason to form relationships or even continue living, Shinjiro managed to save a young life in more ways than one, and that’s something few characters ever do. The original Baldur’s Gate II came out as the standard for PC RPGs in 2000 courtesy of BioWare, who have since gone on the become the gold standard of console RPG devs as well. Thirteen years later, gamers were still playing it and the Enhanced Edition as released with new content, one of which was a new character with the capacity to break your heart not once, but twice. The story of Hexxat begins in the Copper Coronet inn where a strange woman pleads with you to help her explore a crypt in the Graveyard District. Her speech pattern suggests mental difficulties, but her thief skills were not to be messed with so Hexxat makes a great addition to the party, distant personality and all. Depending on what order you do your quests, what eventually happens to the cute purple-haired thief who joined you will affect you differently. But let’s just assume that she spent quite a lot of time in your party before you actually completed her request because this is an open-world RPG and we’ve got things to do, damn it! When you open up the coffin she’s so desperate to get to a vampire rises out of it and drinks her dry, killing her on the spot. It turns out that that woman wasn’t “Hexxat” proper, but some random peasant named Clara who was being mentally possessed from below the Earth by the real Hexxat, who stands before you now, presumably still dribbling her slave’s (former) life’s blood from her chin. At this point you can strike the monster down or take her on as a replacement. It’s a bit fucked up, really. I can never say no to a potential party member (much less a vampire), but I was genuinely upset about poor Clara. I’d adventured and leveled up with this girl and refined her skill set to suit my needs and preferences. Now I was picking up her gear to give to her murderess, who was taking her spot in my crew. And depending on how things play out, the real Hexxat may end up deliberately departing this (im)mortal coil once her personal quest is complete. So really, Hexxat can be two deaths for the price of one. Absolutely brutal. Natural Doctrine is the strategy RPG that was made for people who think Dark Souls is for casuals. This. Game. Is. Rough. Even on normal difficulty. It revels in handicapping the player at every turn and facing them against overwhelming odds because life isn’t fair and it’s survival of the fittest. That’s the real natural doctrine. The game illustrates this point very early on with what I like to call its Scream moment. So the face of the game is this spunky girl named Vasily. I mean like her face is literally on every save file. Every time you load up a game, there she is, cute as can be. You start out with a party of four and it’s hard going. You’ve got a power attacker, your well-rounded main character, and your gunner/healer with Vasily ideally as a defensive specialist. She defends, everyone else attacks. It works out. Barely. Early in the game’s story your party discovers a particularly aggressive breed of insectile monsters breeding in mines and devouring the local goblin population. With fighting being a losing option, you barely escape alive, closing a stone passage behind you. After recruiting a mage to report the menace, he insists on proof of the creatures’ existence so you have to return. Once again, you escape behind the stone door. But this time is different. The insect queen smashes through the wall, snatches Vasily in it jaws, and thoroughly mangles your partner before spitting her onto to cavern floor where the rest of the monsters begin devouring her. Damn, Natural Doctrine. You scary. Admit it: this was the first thing that crossed your mind when you read the title. And not just because it’s the header image, either. 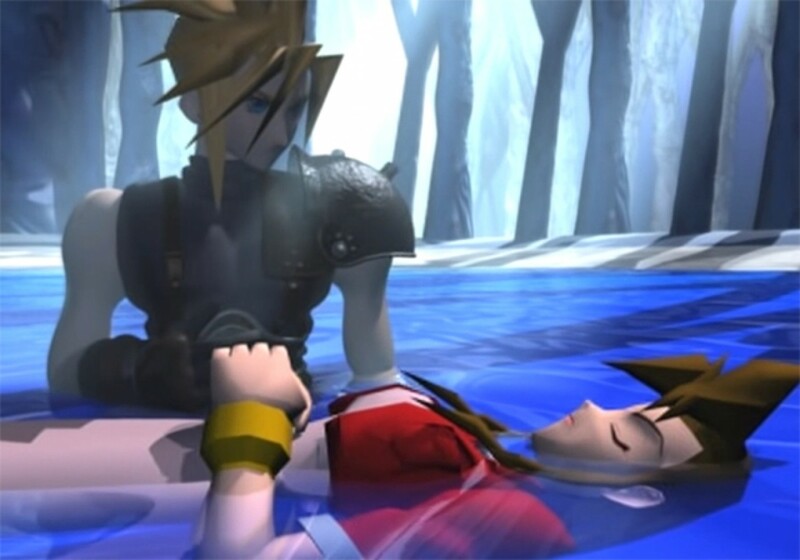 The death of Aerith is one of the most defining moments in many a gamer’s virtual life. In spite of it not being the first permadeath in the series (see above), it was a game changer not only because of how unexpected it was, but with the relatively young art of the cutscene, it was portrayed with an unheard-of level of cinematic panache that made it like a dagger through the heart. Or a katana, in this case. The damsel in distress is a classic (read: cliche) fiction trope that has a very long history in gaming thanks to its general laziness as a storytelling device. I explain this in case this is your first day on the internet or you’ve never read a book, watched a film or television show, or played a video game. Bad guy kidnaps your girl. You get girl back. Happily ever after. That’s how it works. That’s how it’s ALWAYS worked. But not this time. After an adorable slow-burn romance (although I prefered Tifa, personally), Cloud and Aerith are on the verge of love when that dickhead Sephiroth (he of the epic theme music) makes off with your Black Materia and the heroine leaves to stop him. When you catch up to her, you see her angelic face as she kneels in prayer for the world…and then you see Sephiroth’s blade skewer her from behind while he smirks at you with his epic dickface. Congrats, Aerith, you’ve successfully graduated from damseled to refrigerated. And to make it worse, she was your party’s only healer, so going on without her was another standard RPG trope broken. This is pretty much universally pointed to as a major landmark in video game storytelling and the way we look at it. Grown men cried. Critics raved. Gamers never forgot. For years, we searched for some in-game Easter Egg that would bring her back to us. Rumors abounded, but that’s all they were. Square teased us by scattering equipment meant for her throughout the rest of the game, but that was just to salt the wound. A truly great fictional character death carries with it not only the loss of a present friend, but the loss of your future adventures together. What would Aerith’s ultimate Limit Break look like? We’ll never know. At least not until the upcoming remake comes out. But then again, how many gamers are going to be buying it just to relive that heartbreak all over again? It will be extremely interesting to see what curve balls Square throws at us knowing how high expectations are going to be.